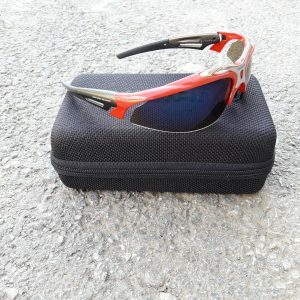 The Hawk glasses are a sporty wraparound design supplied with 3 lenses and a soft case. 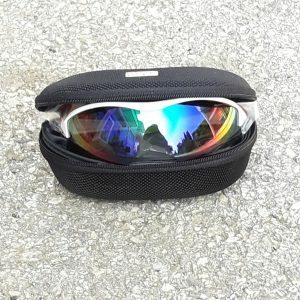 Litemirror Smoke Degrade (gradient lens) for bright sunny days, orange for intermediate conditions and litemirror clear for low light conditions. 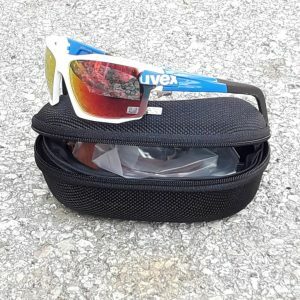 Η σειρά γυαλιών 100 cross-over της UVEX συνδυάζει την προστασία των ματιών με την μεγάλη ποικιλία επιλογών για διαφορετικές συνθήκες φωτισμού. 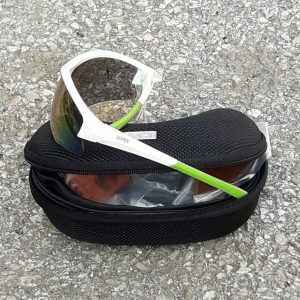 Sporty uvex sportstyle 114 sports glasses with changeable lens technology – change your favorite lenses within a blink of an eye. Always well prepared for the most demanding conditions. 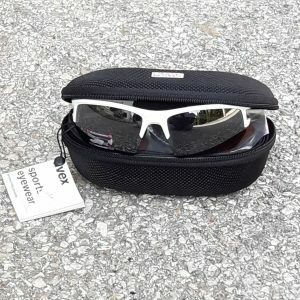 The Uvex Stick sunglasses feature a modern sports orientated design. 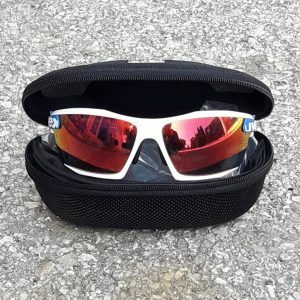 A scratchproof filter integrated into the lens material protects the human eye from 100% harmful UV rays and blue light. 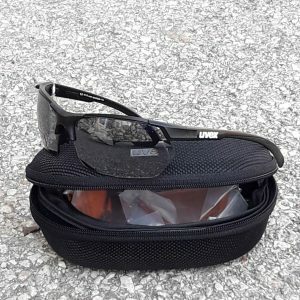 UV protection is also integrated into the frame of the sunglasses. 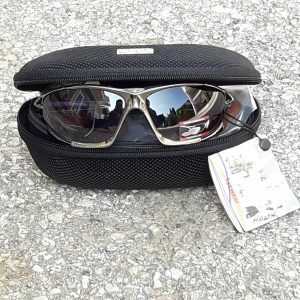 In addition the use of decentered lens technology guarantees distortion-free vision, even where glasses have curved lenses. For the ultimate in wearing comfort flexible, easily adaptable nose pads ensure a very smooth and dimensionally stable non-slip fit and pressure free hold. Colours: Black and White. Sizes: Standard. 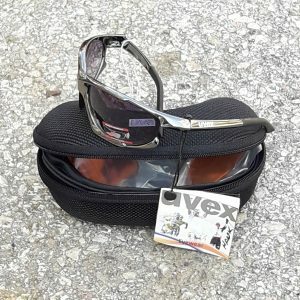 100% UVA, UVB, UVC Protection: Uncompromising eye protection! 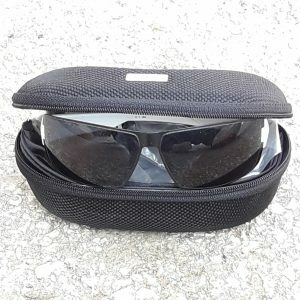 A scratchproof filter integrated into the lense material completely protects the human eye from all harmful UV rays and blue light. 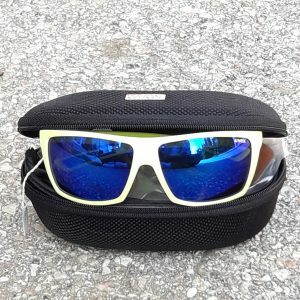 UV protection is also integrated into the frame of the eyewear. Soft Earpieces: Eyewear fits perfectly when you forget your wearing it. 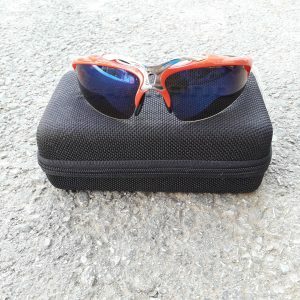 That’s why uvex uses adjustable soft nose pads and adjustable soft earpieces. Comfortably soft yet dimensionally stable – for pressure-free wearing comfort. The soft-finish legs are cold formable – for perfect hold. 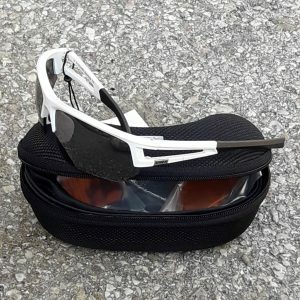 Soft Nosepads: Eyewear fits perfectly when you forget your wearing it. 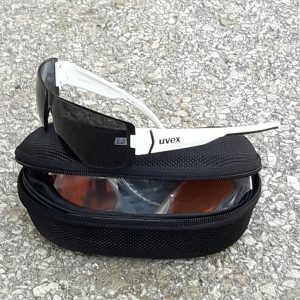 That’s why Uvex uses adjustable soft nose pads and adjustable soft earpieces. Comfortably soft yet dimensionally stable – for pressure-free wearing comfort. The soft-finish legs are cold formable – for perfect hold. 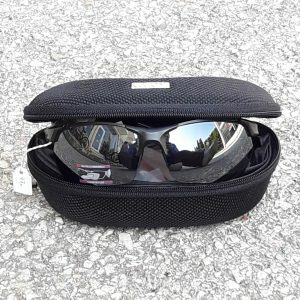 Litemirror: Mirrored lenses look trendy – while working hard. 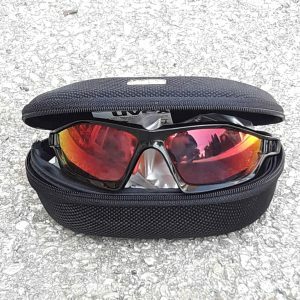 They offer extra protection from infrared rays. Reflecting them and keeping them away from the eyes.